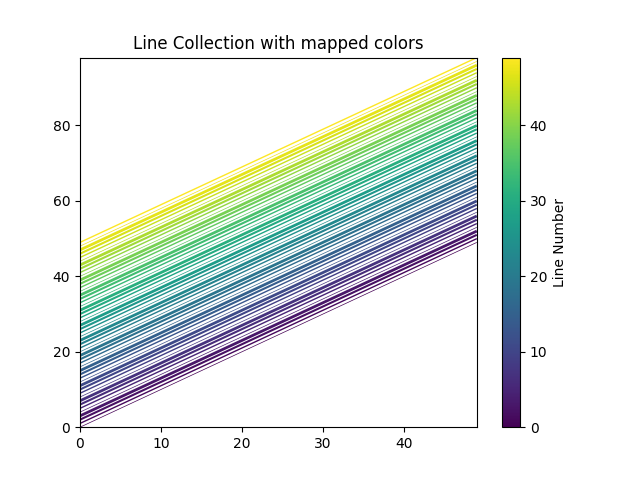 matplotlib.collections.LineCollection allows one to plot multiple lines on a figure. Below we show off some of its properties. # simple example showing how it is done. # We need to set the plot limits. #          where onoffseq is an even length tuple of on and off ink in points. 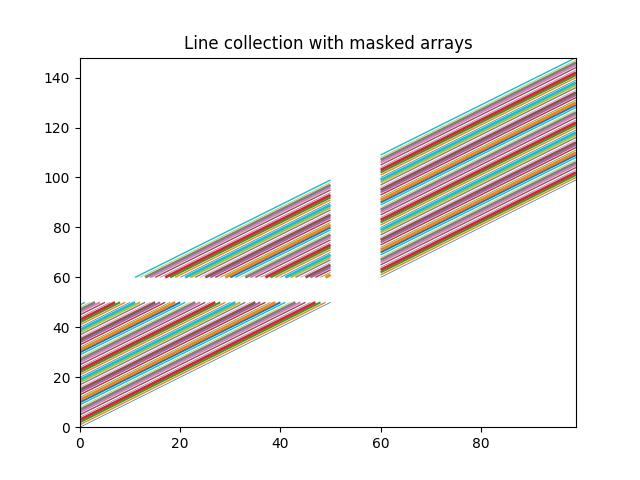 In order to efficiently plot many lines in a single set of axes, Matplotlib has the ability to add the lines all at once. Here is a simple example showing how it is done. plt.sci(line_segments)  # This allows interactive changing of the colormap.